Due to personal reasons the Airsoft Softwair online store has to close at the end of July 2012. This means that no more orders can be processed after 31th July, 2012. Thus, everybody who doesn't own Hollywood or Hollywood Designer yet (or still needs the upgrade to the latest versions) should take the opportunity to secure himself a personal copy of this amazing multimedia software NOW because the store will go down on July 31th, 2012. The download versions are delivered instantly via email/WWW download and the CD versions of Hollywood and Hollywood Designer come in a nice digipak. Thank you for your continued support over the last 15 years! 1. Development will go on. Updates and new plugins are already in the pipeline. 2. All Internet sites of Airsoft Softwair and Hollywood will stay online except the store. 3. The store will go down at the end of July for an indefinite time. "Indefinite" may mean temporarily or for good. I honestly can't tell at this time. 4. 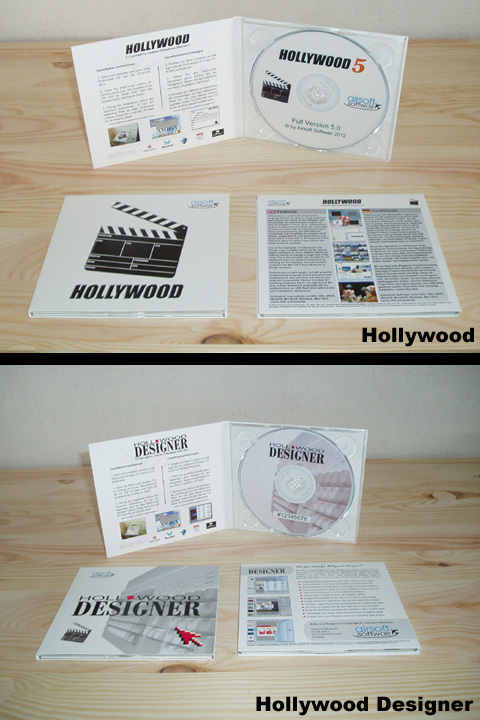 If you are interested in Hollywood/Hollywood Designer, I strongly recommend you to buy the package now. That's why I made this announcement after all. I don't want to disappoint anyone. That's why I'm telling you straight away that I won't be able to process any more orders after the end of this month. So here's your chance to grab your personal copy. 5. I understand that the lack of information concerning the store closure is unsatisfactory but please understand and respect that I can't tell anything more at this time. I also won't comment on any speculations. 6. Reports of Hollywood's death are greatly exaggerated. Thanks from clarification, you surely scared us all i guess. However...Keep up good work Andreas!!!!!! Well ive never heard of any other software product called Hollywood so not likely to be a naming issue. IANAL but surely Hollywood something else surely has to be in the same industry. Foreinstance apple computers and apple records. Just checking this thing too, but you will still be selling that Ipad compiling service?